Oatmeal has been a favorite breakfast in our house for years. On the stove, in the oven, in the crockpot or turned into granola, there really isn’t a way in which we don’t enjoy oatmeal. My kids can stir together a baked oatmeal recipe and get it in the oven all by themselves now. They typically ask if they can make it at least once a week. My youngest declared this one of his best breakfasts ever and begged for the leftovers the next day. Another great thing about baked oatmeal is that most of the time, we get two meals out of it. It freezes great and keeps nicely in the refrigerator for a few days as well. Preheat the oven to 350 degrees. Grease an 8x10 or 9" square pan with butter. In a large glass bowl, heat the peanut butter and the honey in the microwave for about 30 seconds. Stir and heat an additional 15-20 seconds, as needed, to liquify the peanut butter. Stir in the mashed bananas, sour cream and eggs. Add all remaining ingredients and stir again. Pour into the greased pan. Bake for 35 minutes, until a knife comes out mostly clean. Let cool 5-10 minutes before serving. While the oatmeal is cooling, stir together the peanut butter and honey in a small glass dish. 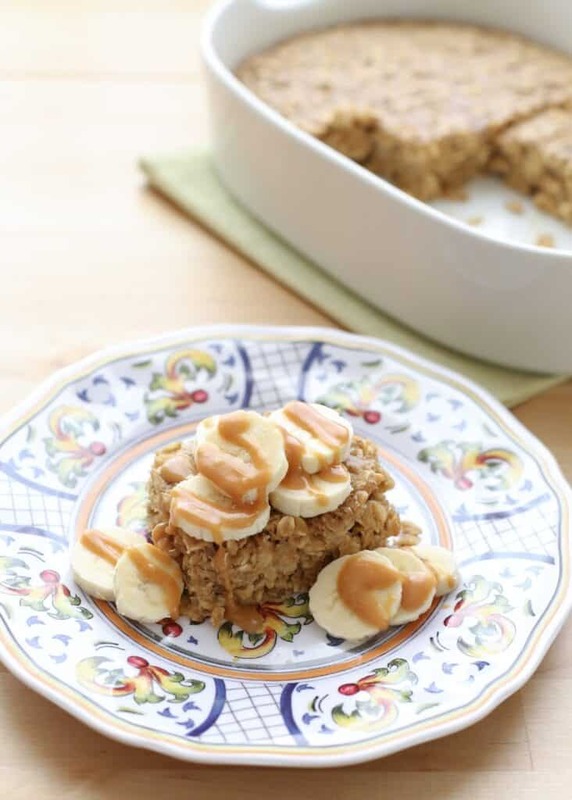 Slice the oatmeal into squares and serve topped with banana slices and drizzled with peanut butter and honey. Enjoy! That is one beautiful breakfast! No wonderful your baby loves it. Hope you had a wonderful Mother's day! YUMMY! this will be wonderful. 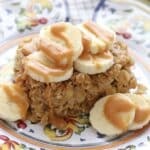 My boys love oatmeal bake! Thank you. We are huge oats fans too! I can't wait to try this! What a great idea! I buy oats to make cookies with, but always have loads leftover. This would be a delicious way to use up the rest of the bag! I look forward to my 6& 4 year old to be old enough to help out more in the kitchen! I am like your family about oatmeal. I love oats! I really like your Biscoff one, I am not much on peanut butter but I do love my Biscoff! I love that you have so many renditions on oatmeal. Gives me plenty of different ways to eat my oats. 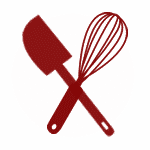 I just tried this recipe and it is delicious! 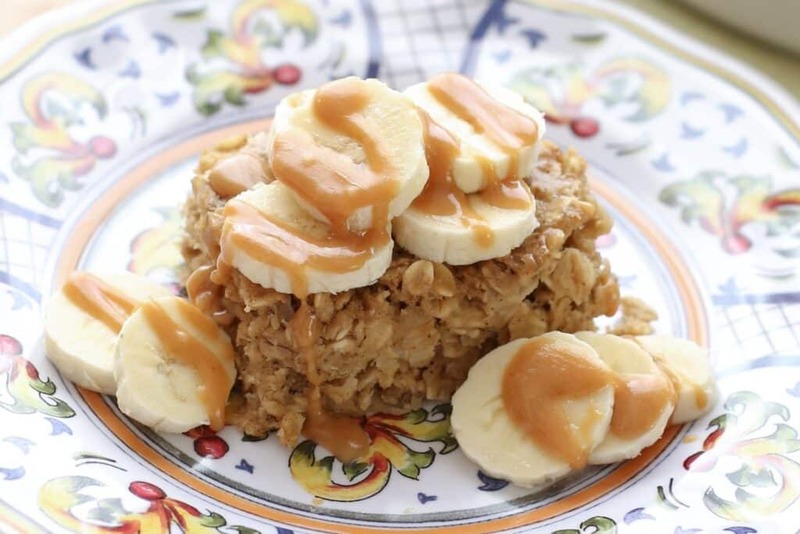 I love the fresh sliced bananas on top of the baked oatmeal. I like to eat barely ripe fresh bananas so the slightly sour flavor helps contrast the sweetness of the oatmeal perfectly. Thanks for another great recipe! This is my breakfast for the week. Just stumbled onto your site and decided to try this one. It's delicious! Added half a cup of mini chocolate chips to bribe my husband into trying it. So healthy and yummy! And I love that you've included freezer instructions, hoping to freeze some leftovers for later. This is a FABULOUS recipe. I made it at the end of last week and have gotten many breakfasts and snacks from it since then. I didn't change a thing -- delicious!